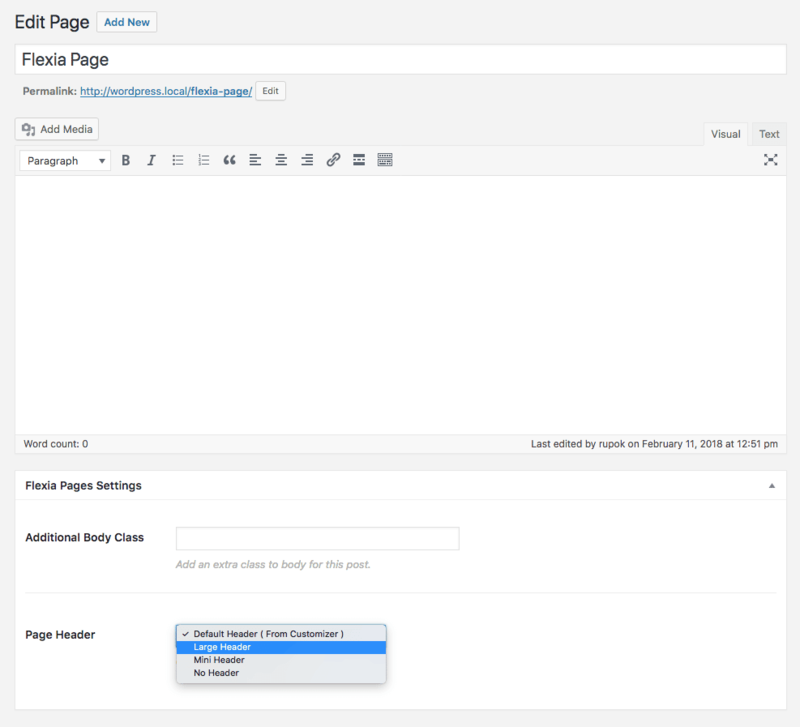 Page Settings under each page (under the editor) enable you to take control over any specific page. Currently it has few options but we will add more options eventually. It’s controlled by Flexia Core plugin, so make sure to install Flexia Core from Appearance > Install Plugins. 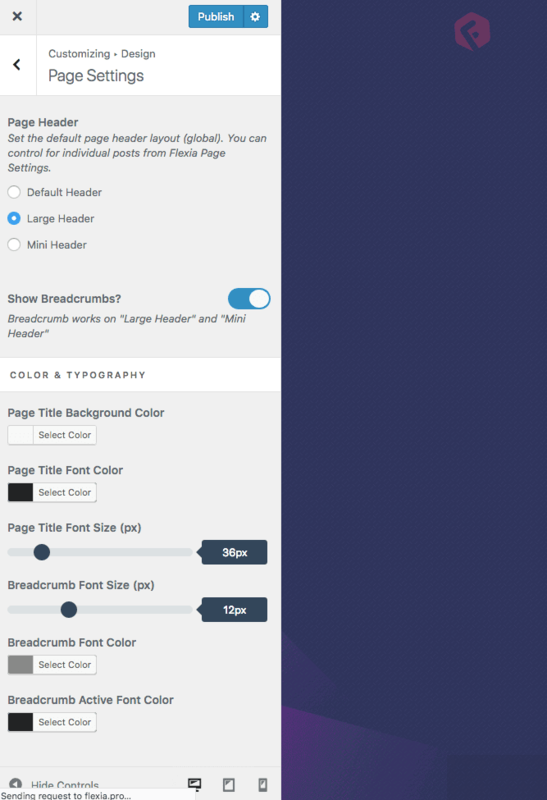 Page Header: By default, it will take the Customizer settings. You can overwrite this fro each page from this option. If you want to hide the Title, set “No Header”.